It can be tricky to decorate a little girl's bedroom. Headstrong little girls often have their own minds, their own developing preferences and very often, their own very unique ideas on how to dress. This can be a nightmare if you have a problem letting them go to kindergarten wearing their favourite party dress. But at the same time, most parents are conscious of giving their daughters the freedom to develop a picture of their role in the world that doesn't necessarily include being a little princess. The truth is that even if your little girl is a girly princess, a bookworm or a little tomboy in the making, there are a few general things most children love. We all know how much they love colour, making artwork and getting lost in their favourite stories. And we all know how important it is for parents to have a child's bedroom that's easy to clean and helps your child calm down so they can focus on getting a good night's sleep. Your child's bedroom is a place to help centre your child, give them a little alone time to burn off some excess energy and encourage them to explore reading, being self-sufficient, safe and learning about the world. 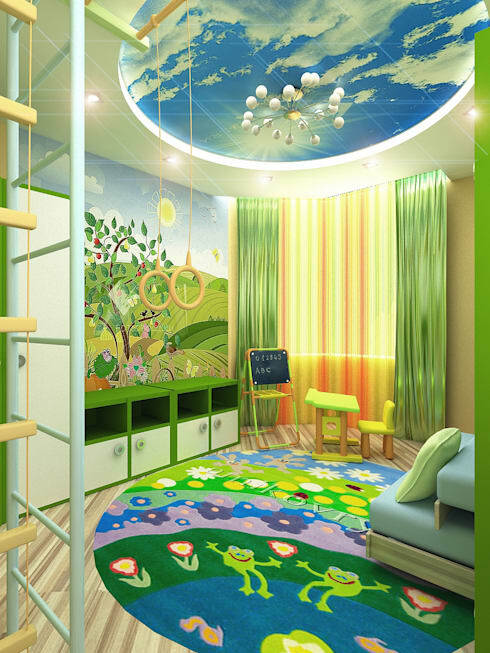 So let's get on with explore a few ideas on how to decorate a little girl's bedroom. Let's go! One of the most important gifts a parent can give a child is a love of reading. Books will teach them about the world, encourage them to reflect and succeed in school. A key part of encouraging the reading habit is simply making it seem like a natural part of their daily routine. So when it comes to planning the child's bedroom, it really helps to make reading and books an integral part of the decorating process. Never stash away books in a corner, installing some pretty bookshelves in a central location that really demand attention. You might even get a little beanbag or a few soft furnishings to make a reading nook. Children's bedrooms are often filled with the prettiest, cosy fabrics around and it's not just for aesthetic reasons! Just like adults, children love super cosy fabrics and the lovely tactile nature of deep, plush rugs and cuddly pillows can help nudge them towards the bed. Never choose synthetic materials though because they don't allow the skin to breathe. Choose natural materials with lots of different textures and varying patterns for the ultimate cosy bedtime retreat. Little boys aren't the only ones with energy to burn. An overactive little girl often just needs to tumble and stretch her growing limbs. Look at creating a play area with an indoor swing, ladder or climbing wall. They could be hung from the ceiling or simply mounted on the wall. Keep everything at a fairly low height of course. You never know, you could have a little gymnast in the making! Parents spend enough time cooking, cleaning and chasing after children. While we would ideally like to help encourage children to learn to clean up after themselves, it's not always possible when we're caught up in the business of everyday life in the main living areas. But the child's bedroom is really the perfect place to train the child. Little fingers sometimes find it difficult to get into complicated drawers and high cabinets, so look at getting some child-friendly storage. 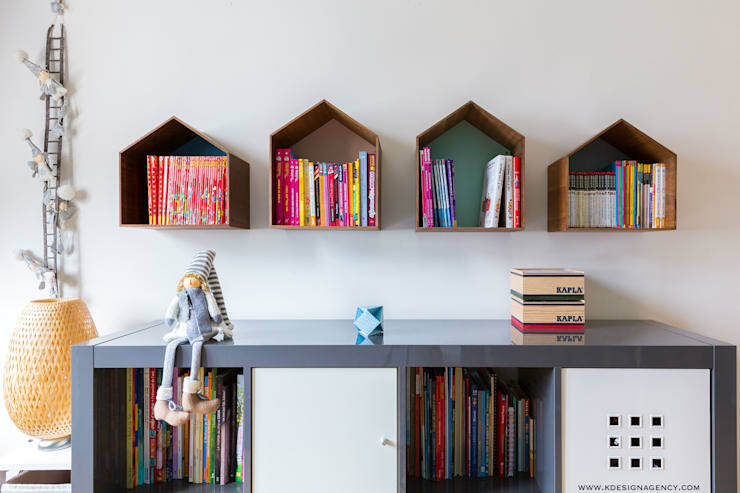 Even better, look at installing some open storage with open baskets or hooks that are really easy for the child to use. The variety of wall decals with cute motifs has really exploded in recent years. A huge variety can be bought online and easily applied to walls. Many are also available in simple, adhesive styles that can be removed from rental properties without too much work. Try not to think too conservatively about the placement. Children often love the wild, unconstrained look of natural motifs that take over the room and creep across the walls and floors. You might even engage your child in the process of choosing a design. It's their bedroom after all. Children are natural artists and a single working space will help contain the inevitable mess that arises in the creative process. A small, child-height table with a waterproof surface is perfect. See here how the open storage units underneath the table really help keep the materials in one place. Every little girl is sure to love this princess tent. The long, draping fabrics create the perfect little cocoon for those times when a child needs a little time out from the world. It's always best to use something a little transparent. You might even add a few fairy lights and turn into a little reading nook. If you are interested in decorating for children, you'll love this Ideabook: Garden features your child will love. Do you think your little girl will enjoy these bedroom ideas? If you have more to add, please use the comments field below.